We’re now just over a week away from the launch of this year’s Star Wars Celebration, which is expected to yield some long-awaited details and material from the upcoming Star Wars: Episode IX. But as we wait for the film’s first teaser to emerge or the official title to finally be announced, fans have already been given a little material to chew over thanks to last week’s promo art leaks. In particular, a selection of character designs started making the rounds last Wednesday that gave us an early look at two franchise newcomers, named Zorii and Jannah. And thanks to a source close to We Got This Covered, we now have a few new details on each of these additions. 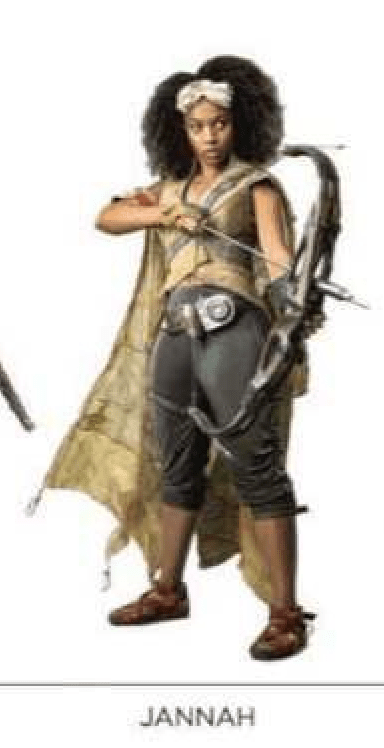 First, let’s start with Zorii, who’s believed to be played by Keri Russell. It’s been observed previously that the character’s getup is reminiscent of Zam Wesell from Attack of the Clones, and sure enough, the source tells us that Zorii is a bounty hunter herself. As for Jannah, who’s currently thought to be played by Naomi Ackie, her backstory is reportedly very similar to Finn’s, in that she too was abducted as a child to be trained as a Stormtrooper. What’s interesting about this claim is how it ties in with the previous rumor that she’s playing Finn’s sister. Could they have been abducted from the same family? Or perhaps the pair are only siblings in the sense that they grew up together under the First Order. Hopefully we’ll get a few more details on each of these characters when Star Wars Celebration kicks off next week. Either way, though, we’ve still got most of the year to wait before Star Wars: Episode IX hits theaters on December 20th, 2019.